Using Augmented Reality (AR) and The Internet of Things (IoT) to create a killer app? Last week PTC held Thing Event an hour long webcast to display some of their new innovations in the Internet of Things (IoT) space using one of their recent acquisitions Augmented Reality (AR) company Vuforia, a business they acquired from Qualcomm back in November. One of the statements that really stood out to me was from PTC CEO Jim Heppelmann who said “Service would be the first killer app in The Internet of Things”. While I agree with the sentiment, I think it’s probably safe to say based on existing Industrial solutions in M2M & IoT that some level of service improvement has always been one of, if not the primary driver, it’s not something that suddenly became relevant overnight. 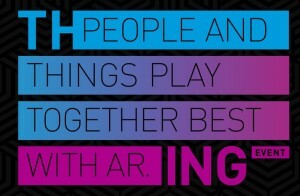 What PTC perhaps should have been saying is that combining AR & IoT could well create a killer app, and based on the demos from KTM Racing, Sysmex & Caterpillar I’m inclined to agree. The demos all showed relatively the same application: At a simple level it’s using the IoT and a network of sensors for proactive maintenance and fault detection and then using augmented reality to overlay instructions on how to repair or engage with the fault. The fact that this application could be applied to technologies as diverse as motorcycle repair, medical device management and industrial hardware is part of the beauty of it – You can apply the technology displayed at Thing Event to an almost unlimited number of industries. No language barriers – If you look at the KTM Racing demo while it does carry English subtitles in the application you can quite easily understand the instructions just by looking at the visuals. You could ship product all over the world with a simple AR enhanced visual set of commands. Centralized support – I imagine having a central server handling the distribution of the AR application (If it’s done wirelessly) can eliminate many of the problems current hardware manufactures have with version control for technical documentation. Reduction of Waste – Can you imagine if instead of having pages and pages of instructions in different languages printed and included with a product you could simply scan a QR code and you could be given a full up to date visual instruction on how to do anything related to the product. Imagine getting furniture from IKEA and scanning a QR code with your IKEA App and watching your furniture pieces come together in your living room in real time, you just follow the visual prompts. Harvesting Knowledge & Reducing Training Time – As industries change and grow inevitably people will move on, retire or simply be unable to perform the tasks they were able to do before. Currently unless someone does a thorough exit interview or the employee is amazingly diligent with documentation so much knowledge and experience is lost forever. By capturing experienced people doing tasks and relaying it back through AR visuals you have that persons’ knowledge in your organization forever. 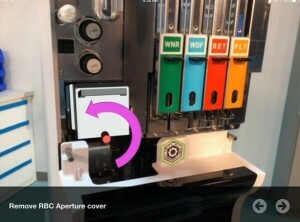 This in turn reduces the amount of time and education needed to perform maintenance and service tasks, especially in none specialized roles, rather than having someone read a text book or watch a video on their training they can use AR to view and perform basic tasks instantly with little to no guidance. The Developing World – If you imagine the reduction of language barriers, the transition of knowledge and the reduction of training times it’s not difficult to see how this might be a potentially life changing technology for solutions being delivered in developing regions. Let’s look at something like a water filtration system being shipped a remote village to supply fresh water. If you add wireless connectivity through sensors and either local or long range communications, you can monitor the health and performance of the device from anywhere in the world. If you detect a fault, then someone locally can use AR to watch a series of visual instructions all overlaid on the very machine they are working on to solve the problem. These instructions can be recorded by an expert on the product but relayed so clearly that someone who speaks a different language and has a comparatively reduced skillset can perform the same task. With some creative thinking you can envision how this can not only reduce the cost of deploying key infrastructure and services in these countries but also provide increased income to local workers who can perform more valuable maintenance tasks. Do you think Augmented Reality is going to be a game changer in IoT? I’d love to hear what you think, Let us know on Twitter @M2MOneAU, on LinkedIn at M2M One or visit our website at www.m2mone.com.au. The views and opinions expressed in this blog are solely those of the author and do not necessarily reflect the opinions of M2M One or M2M Group.